Deep in the jungle, in the northernmost province of Thailand, Chiang Rai, an archaic ceremony is taking place that hasn't been practiced for seventy years. After offering prayers and blessings, the assembled civil servants and Palace courtiers, all dressed in impeccable white dress uniform, gather around an ancient well that has been ornately decorated with white orchids. 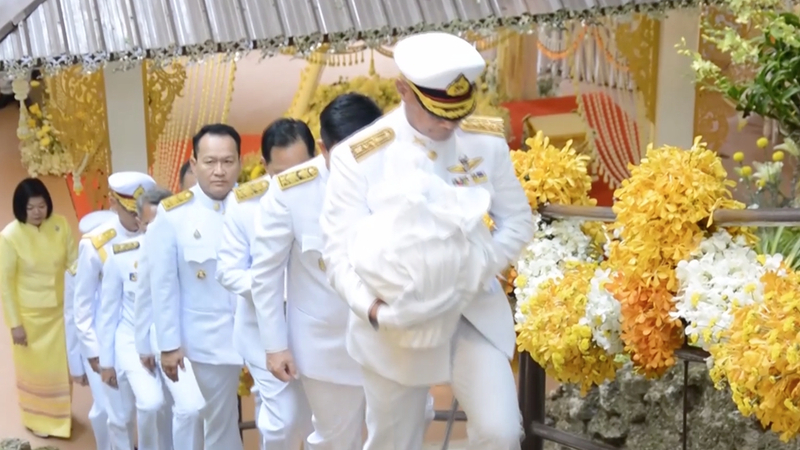 With great ceremony, they fill a ceremonial silver urn, which is wrapped in silk, then carried up a long flight of worn stone steps and gingerly placed into a waiting Mercedes Benz for its onward journey to Bangkok. 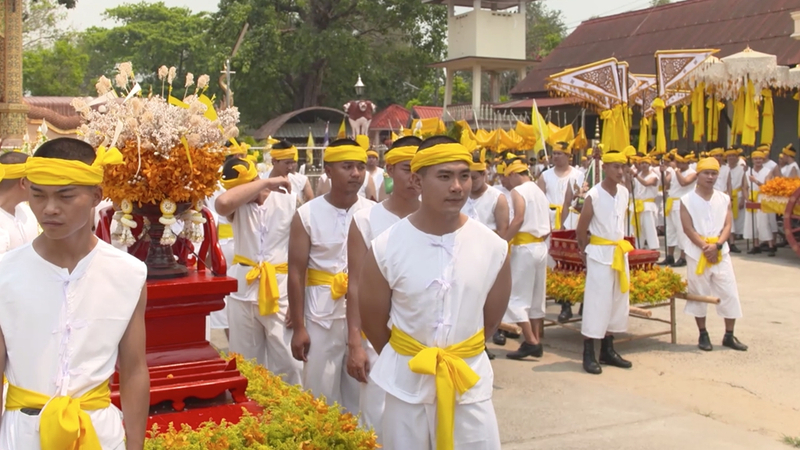 Similar ceremonies are taking place in every province in Thailand, as sacred water is collected for what will be the key ceremony in the coronation of King Maha Vajiralongkorn in early May. Back in Bangkok, at the office of the State Council, Dr. Thongtong Chantarangsu, explains how significant the role of this scared water is in the accession of the King to the Throne. The sacred waters, collected from across Thailand, will be used to bathe the King, symbolizing the unity of the nation, and his divine right to rule. 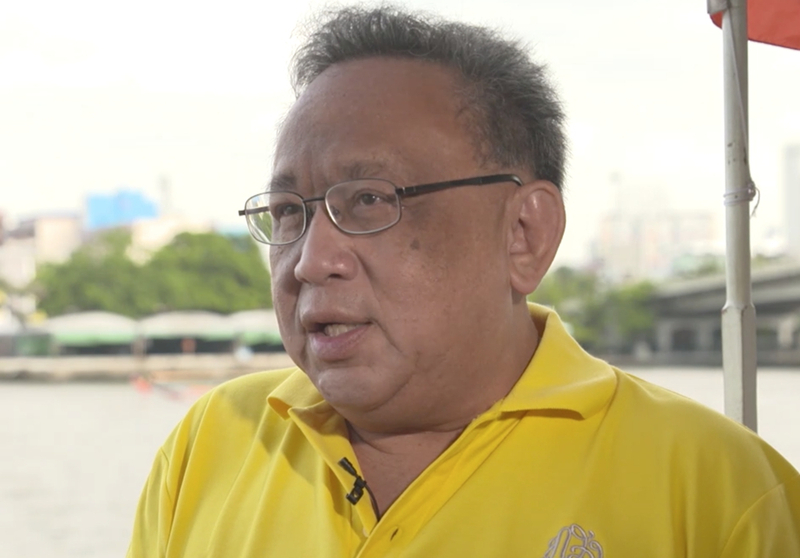 "We use the water for its symbolic meaning to show he will transform from a human being to a God because of the Thai belief, according to the Brahmins, the king is a god from heaven", says Dr. Thongtong, noting that this is similar to the act of putting a crown on the head of a monarch in the West. The Palace Authorities and State Council have had to scour the archives for the correct protocol and procedures in this coronation, the first since King Bhumipol was crowned in 1950. At that time, the future of the Monarchy was in a far more perilous position after the end of WWII and the rise of a new generation of politicians keen to limit the powers of the constitutional monarch. But King Bhumipol is remembered by many of his subjects for successfully steering Thailand through the Cold War, while neighboring countries like Vietnam and Myanmar descended in to chaos, and bringing economic development that was often the envy of Southeast Asia. When he died at the age of 88, he was the longest reigning monarch in the world, and the monarchy above reproach. Although that is in part due to harsh laws forbidding criticism of the monarchy, many Thais genuinely revered the last King, and his son will inevitably feel the burden of that legacy. The coronation, which will take place over three days from May 4 to May 6, is likely to emphasize King Maha Vajiralonkorn's place in that lineage with elaborate ceremonies and archaic rituals. But there will also be a nod to the future, with a long and carefully choreographed procession through Bangkok, giving ordinary Thais the opportunity to see their new King and participate in the coronation. Whether this gives any indication of the nature of the new King's reign is hard to say, but given the attention and expense being lavished on the coronation, it is sure to be a memorable occasion.